“As a port city, Portland’s waterfront was the town’s identifying feature for its first two and a half centuries, with the “Bayside neighborhood” serving mainly industrial purposes. 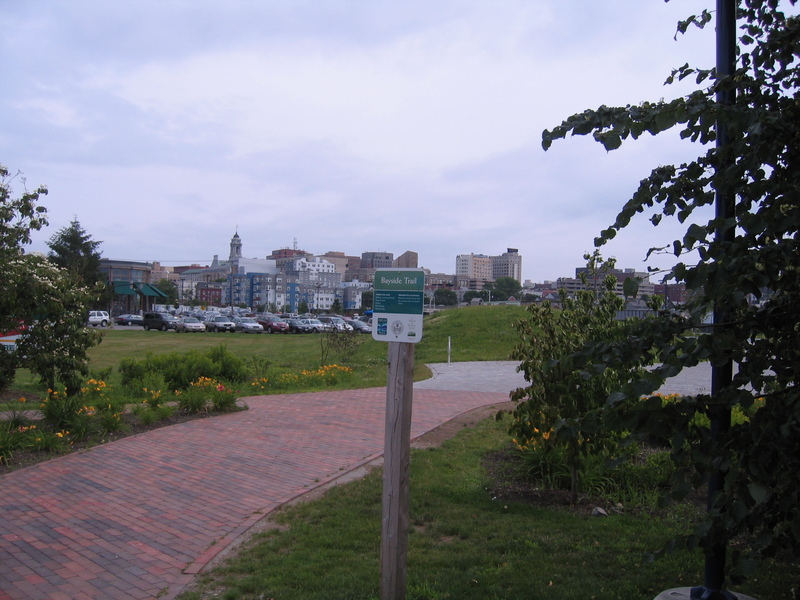 In 2005, the City of Portland purchased a 13.2-acre former railroad property that runs through the Bayside neighborhood from the Eastern Promenade to Deering Oaks Park. The first step toward fulfilling the vision of a new urban landscape for Portland, TPL stepped in to take the project from concept to reality, spearheading construction and helping to raise the $1.6 million needed to complete the project in 2011.